325 grams all purpose flour 1. Cube butter and place in a dish in freezer. 1/2 teaspoon iodized salt 2. In a food processor, pulse together flour and salt. Add butter. Pulse until mixture resembles a crumbly meal. 14 tablespoons butter 3. 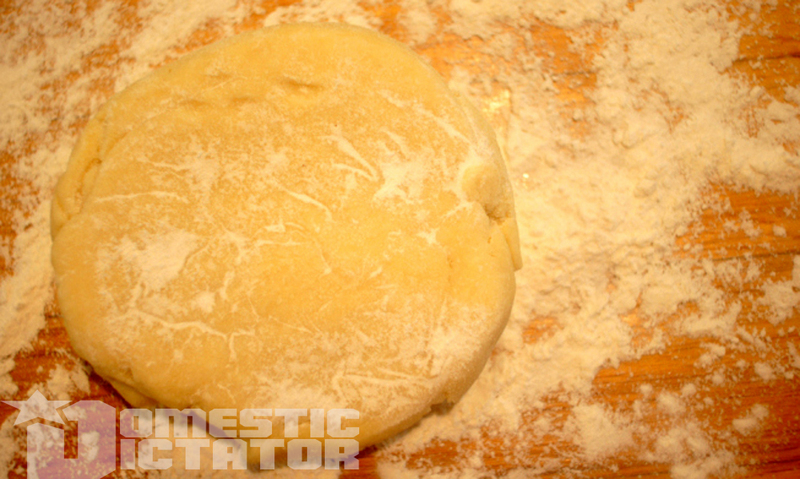 Add iced water in parts, until pulsing brings dough together into one form. 5-8 tablespoons ice water 4. Pat out with flour. Refrigerate for at least one hour before using.